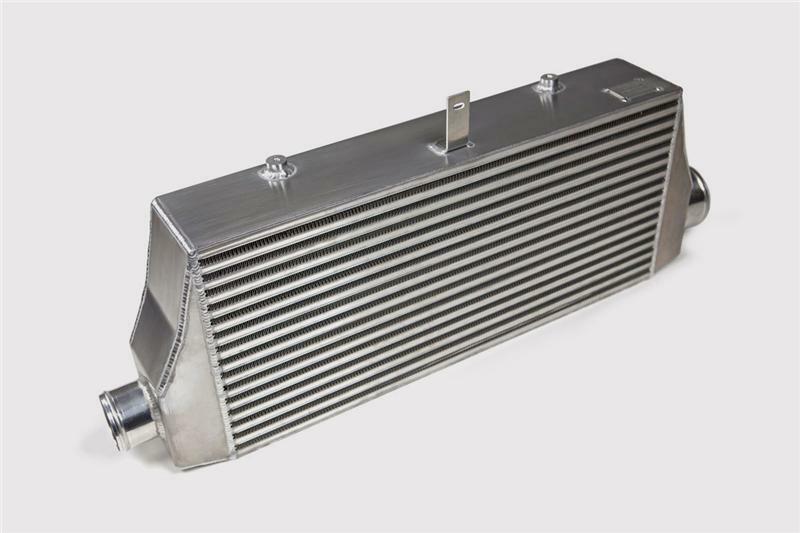 One of the keys to making big horsepower with any turbocharged engine is keeping the inlet air temperatures down, to combat this problem in the MKIV Supra we have developed our new Titan Motorsports 5-row Race Intercooler. The foundation for our intercoolers is a proven Garrett bar and plate core that measures a staggering 28×12.5”. 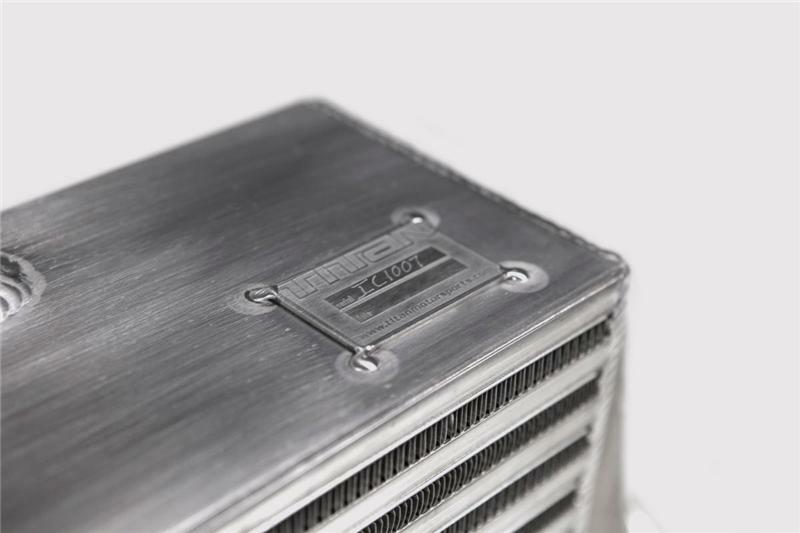 CAD designed end tanks which are laser cut for consistency are TIG welded to the massive core. 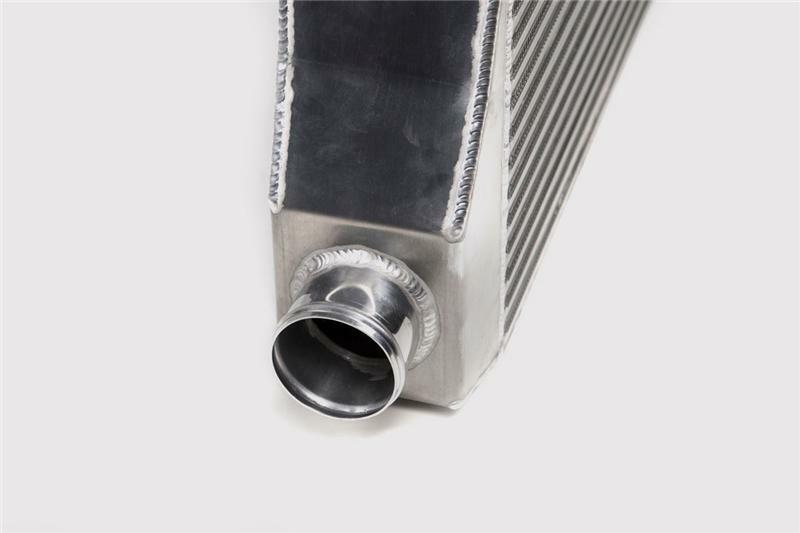 This intercooler uses a 3.0” Inlet and 4.0” Outlet which is bead rolled to prevent the charge pipes from blowing off at higher boost levels. 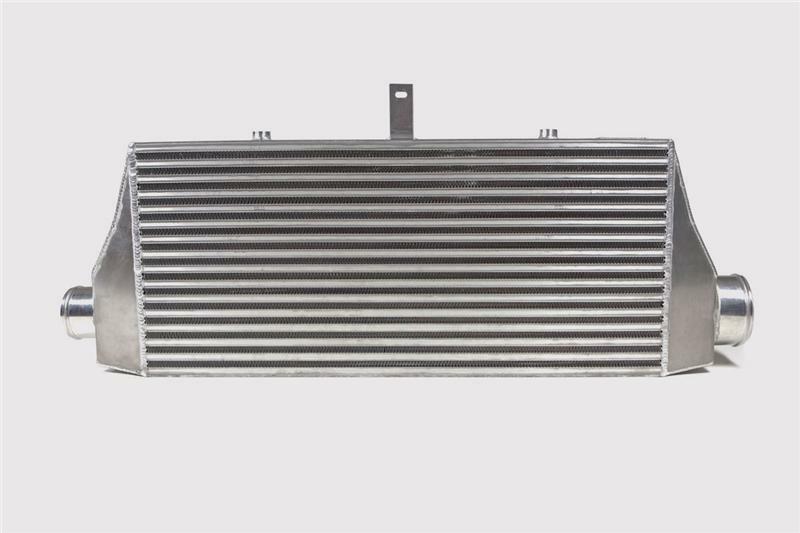 The Titan intercooler is designed to be installed without the need to modify the factory bumper, and allows the factory bumper support to remain intact. 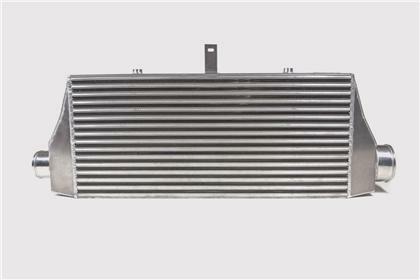 This intercooler is the same unit used on our record setting Toyota Supra, and is proven to work at horsepower levels in excess of 1,800hp. All necessary hardware and instructions are included with the core, piping is not included.